Turn your out of home media needs into a head turning, eye catching visual extravaganza on LA's hottest streets. 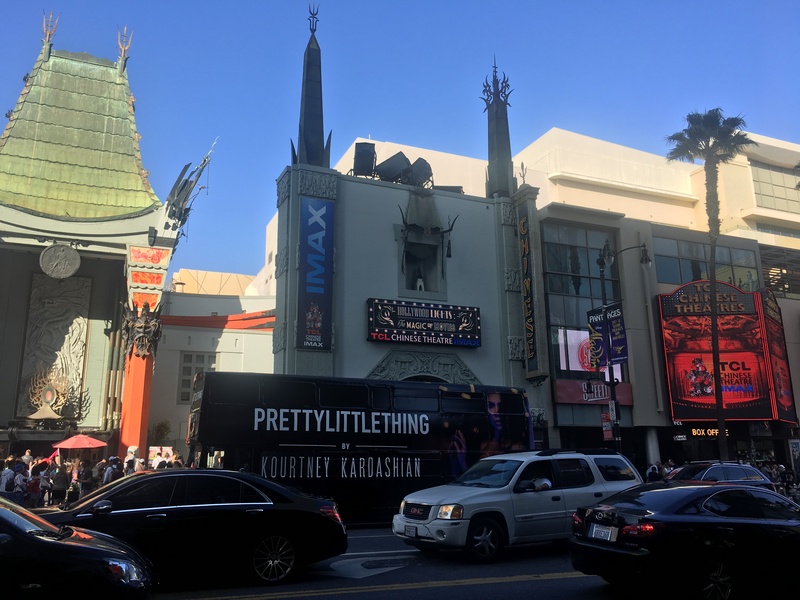 Sit back and relax as your bus tour takes you through famous and historic Hollywood locations. We want to congratulate our L.A. Kings on winning the Stanley Cup! DOUBLE DECKER BUS ADVERTISING IS A POWERFUL AND UNIQUE WAY TO ADVERTISE YOUR PRODUCT. WE CAN TAILOR YOUR ADVERTISING NEEDS BY RUNNING THIS UNIQUE MOVING BILLBOARD AND PLACING IT ANYWHERE IN LOS ANGELES WHERE YOU MAY WANT TO TARGET A SPECIFIC AUDIENCE. CALL STEVEN AT 323 590 7529 TO DISCUSS YOUR ADVERTISING IDEAS, CHEERS ! The Big Red Bus Company, Double Decker tours of Los Angeles, Hollywood, Beverly Hills and the San Fernando Valley. We will tailor your open top double decker bus tour to suit your needs. 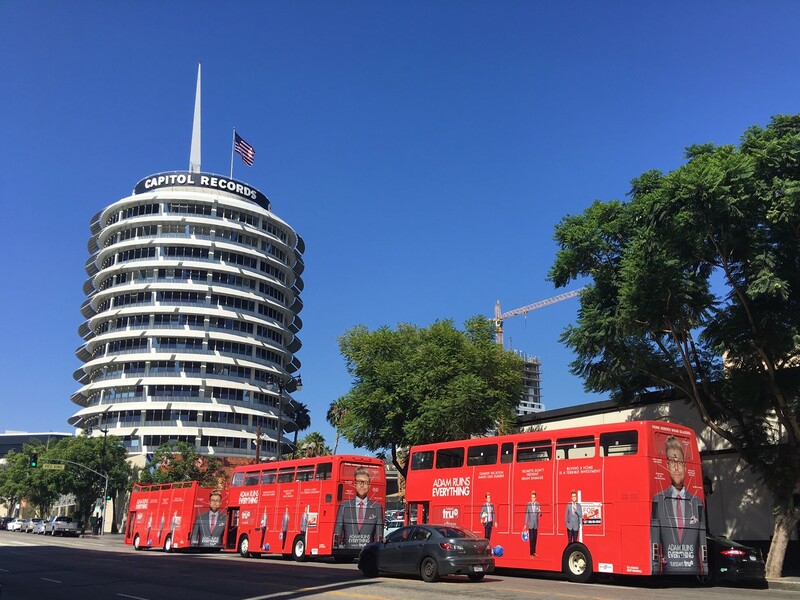 View the sights and sounds of Hollywood from our authentic double decker London bus, see the splendor of Beverly Hills and let us make your bus tour the special event it deserves to be. The Big Red Bus has an iPod music system, so you may bring your own music to play on our bus for your private event. The Big Red Bus Company is a proud member of ASCAP. For summer Hollywood tour schedule visit our sightseeing tours page. Call us at (323) 590 7529 with all your double decker needs, from weddings, private tours and parades to bar & bat mitzvahs, movies / television / commercials, shuttles and corporate events. We are British owned and operated. Insured, licensed (MCP 0346442) and professional.